When the self-aware young Alice, who grows bored of sitting by the river with her sister, and spots a peculiar looking rabbit, dressed in a waistcoat. She hears the rabbit, which is seemingly in a hurry, mumbling whilst dangling its pocket watch. Impulsively, Alice inquisitively rushes after it making her way down a rabbit-hole which descends to the fantasy realm of Wonderland. Finding herself in an unknown corridor encircled by doors of all shapes and sizes, Alice is subject to her first of many bizarre encounters. In order to fit through a tiny door, which separates her from a beautiful garden, she drinks a shrinking potion. Unfortunately, she forgets the key to the door on the normal sized table and faces the beginning of her troubles. In her pursue of the White Rabbit throughout Wonderland, Alice goes through immense individual changes and revelations as her perception of reality is altered. 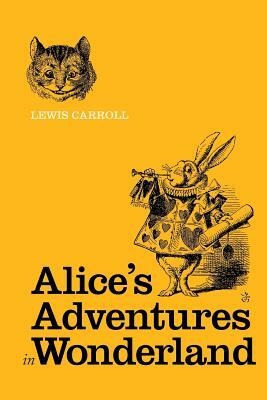 After a sequence of events, Alice discovers the unsettling features of the strange world as she encounters zany characters including the White Rabbit, the Cheshire Cat, the Mad Hatter, the Hare and the intimidating Queen of Hearts.